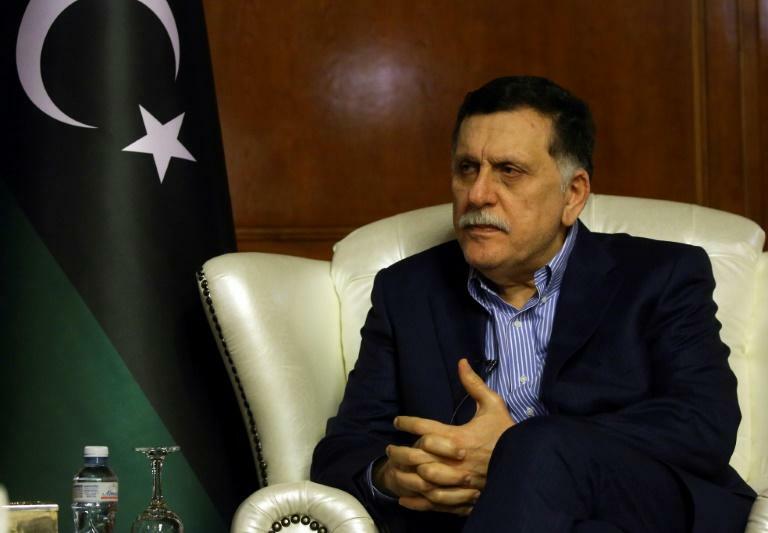 The head of Libya's UN-backed government, Fayez al-Sarraj, urged the international community on Thursday to find a "common vision" for the chaos-hit North African nation, ahead of crisis talks in Sicily next week. In an exclusive interview with AFP at his unity government's headquarters in Tripoli, Sarraj hit out at "negative interventions by some countries" in Libya, without naming them. Libya has been beset by violence since dictator Moamer Kadhafi was ousted and killed in a NATO-backed uprising in 2011, with rival groups vying for territory and oil wealth. Many Libyans put the country's crisis down to rivalries between foreign governments -- Western as well as Arab -- who they say pursue their own narrow agendas by supporting one group against another. 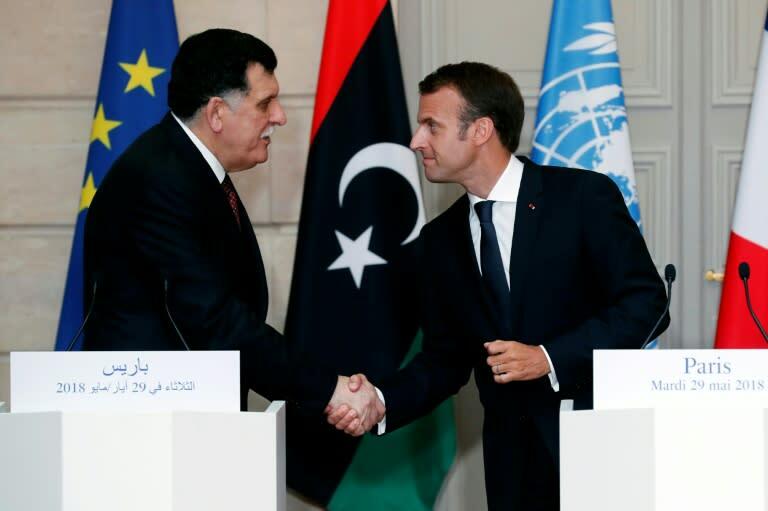 Sarraj "saluted" France for organising a conference in Paris in May that brought together the four main protagonists in Libyan politics, including himself. He said he regretted that decisions taken at the conference, including a commitment to hold elections on December 10, had not been respected. Sarraj's Government of National Accord (GNA) was set up under a 2015 UN-brokered deal, but a rival administration based in the country's east refuses to recognise its authority. He criticised the rival parliament based in the east, saying it had failed to respect its commitment to carry out the preparations needed for elections. When asked about the timing of elections, Sarraj said "any mention of a date ... without putting in place a constitutional framework is a form of wishful thinking". The timetable divides the major powers. While France has pushed for the December date, Libya's former colonial ruler Italy, Russia and the United States have all opposed this. "It is necessary to unify the international position with regard to Libya," Sarraj said, calling for a "common vision" for its future. He said Italy and France should overcome their differences "so that there are no points of contention" between them. The populist government that came to power in Rome in June has been openly critical of the French role in Libya, saying it was at least partly to blame for the current chaos. UN envoy Ghassan Salame set out a new elections timetable in a videoconference with the Security Council from Tripoli on Thursday. He said a national conference in the first weeks of 2019 would pave the way for the electoral process to begin in the spring. Proposals for a platform for ordinary Libyans to chart out the political future, short-circuiting the country's bickering leaders, have been under discussion since last year. They had been delayed because of repeated flare-ups of fighting between the country's rival armed groups. Sarraj's biggest challenge has been tackling the insecurity, particularly in the capital, where militias still hold sway more than seven years after Kadhafi's overthrow. Between late August and late September, fighting in and around Tripoli between rival groups from the capital and other part of western Libya killed at least 117 people and wounded more than 400. Under pressure from the UN mission, the GNA announced new "security arrangements", which have yet to come into place visibly. "We are starting to implement this plan, but it requires international support and the engagement of all (Libyan) parties." The security plan aims to replace the militias with "regular army and police units", Sarraj told AFP. But he said some militias had "played a positive role in contributing to securing the capital and other cities, and in the fight against terrorism". "Putting all these factions in the same box" represents an injustice to some young Libyans, who could integrate successfully into the security forces, he said.